How can the homeschool high school transcript tell your homeschooler’s story in the college application? Here’s what you need to know! To weight or not to weight? That is the question. Because Honors and AP courses are more demanding, some schools give more weight to them. Instead of a class being 1.0 credit, they assign it 1.25 or 1.5 credits. Whether you weight or not is really a personal choice, as is so much of this process. Many schools unweight grades before reviewing the homeschool high school transcript. Why? Because there is no standard in the way schools weight courses. Some base it on a 4.0 scale, others on a 5.0 or 6.0 scale. In order to streamline the process, admissions officers recalculate on an unweighted 4.0 scale (many times excluding electives). They then assess those courses according to their school’s particular rubric used when evaluating an applicant. Some schools use weighted grades for scholarship purposes. If your student is going to compete with others from schools that weight courses, you should consider doing the same. What is the best way to know if the schools on your homeschooler’s list use weighted grades for scholarships? Some institutions will share this information; some will not. It is best to call the admissions office and ask! Should I label my courses Honors or AP? If an outsourced course is labeled Honors or AP, certainly call it that on your transcript. If you think the course is much more demanding than a typical high school course, feel free to call it Honors. How much it matters depends on the specific admissions officer and if those grades are backed up by thorough course descriptions and/or SAT II or AP scores. IMPORTANT: AP courses must be officially approved by College Board. If your course has not been officially approved, you may not list it as such on the transcript. Should I include SAT scores, ACT scores, SAT 2 scores, and AP scores? Test scores can be included, UNLESS applying test-optional (choosing to not send scores to a test-optional school.) For obvious reasons, you would not want those scores on the transcript. Also important: Do NOT self-report those scores in the Common App. Many applicants think they are required to put scores in the application when asked! They are not and should not, if you are applying test optional. Do I send all transcripts and official grade reports from outsourced classes? There is no need to send every transcript or grade report. Here are the basic guidelines for what gets sent and what doesn’t. Ask the school to send your homeschooler’s transcript directly to colleges. Sometimes online providers offer an official grade report. Your homeschooler takes English from one provider and math from another? Unless your student has taken the bulk of their classes from that provider, just transfer the grade onto your homeschool transcript. What if my child attended a brick and mortar school or an online school before homeschooling? If your homeschooler’s high school years included a school that was not legally a homeschool, you have two choices. Your transcript only includes the homeschool years. Your transcript includes all four years. When this gets tricky: If you cannot easily translate the former high school grades into your homeschool grading system and GPA calculation, leave those years out. College admissions officers prefer that we not translate the other school’s grades ourselves. Leave that to them. They see students from a variety of schools, grading systems, and transcripts. They would prefer to do the interpreting themselves. Create and send a homeschool transcript (with course descriptions and counselor recommendation letter) directly to the school. 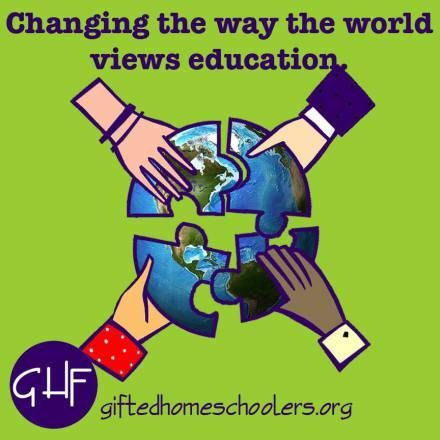 This clears up any questions admissions officers have regarding the specifics of their homeschool education. Do I include middle school courses? In general, middle school courses should not be listed. The high school transcript is a transcript for high school courses. However, look at each school’s requirements. Do they require 4 years of each subject? Do you need that 8th grade Algebra course on the transcript to meet those requirements? If so, then include it. If not, then it’s not necessary. The two middle school subjects - if taken at a high school level - acceptable to put on a high school transcript are Math and Foreign Language. Do I include Fall Semester 12th grade classes? Yes, include 12th grade fall semester classes with grades if the timing is right. If you are applying Early Action or Early Decision, include the names of the courses and note that that they are in progress. If applying at the completion of fall semester, do include those grades. It can make a difference. **TIP: If fall semester grades are particularly strong and they weren’t sent with the original transcript, send them to the school. If a student is considered a borderline applicant, a strong senior year could have an impact! Do I Include Spring Semester 12th grade classes? As with the fall classes, list any spring classes as “in progress” or “IP.” The grades for those classes will be sent with the counselor’s final report. And, yes, you will send a final report with an updated and “FINAL” transcript. Be sure to include the graduation date on that final transcript. Can I include independent projects? Look at the application in its entirety. When put together, the application should reveal all that your homeschooler is. There are two places independent projects and studies can go - on the activities list or on the transcript. First, ask yourself if the independent study involved enough hours. If so, the transcript is an option. Then ask yourself if it is worthy of a course description, rather than the 150 characters available in the activities section of the Common App. If so, the transcript is the way to go. Do I include electives on the transcript? If the electives are interesting and important to the student’s story, include those electives. If they are physical education or health, there is no need to include them. What does NOT go on a transcript? Activities, awards, and course descriptions do not belong on the transcript, especially if using the Common App. There are specific sections to list those items. If not using the Common App, and there is no section to include such accomplishments, consider creating a separate document. As you can see, much of what you choose to include is up to you. Ask yourself how you want your homeschool and your homeschooler’s story to be told. Yes, there are plenty of details to think about, but as a homeschooler, you’re used to that! If you haven’t yet read Part One, click here. Do you have a question you don’t see here? Share below. Get your 2019 Fearless Homeschoolers Timeline! And Get your FREE 25 Page Guide to Homeschool Transcripts that Colleges Will Love!